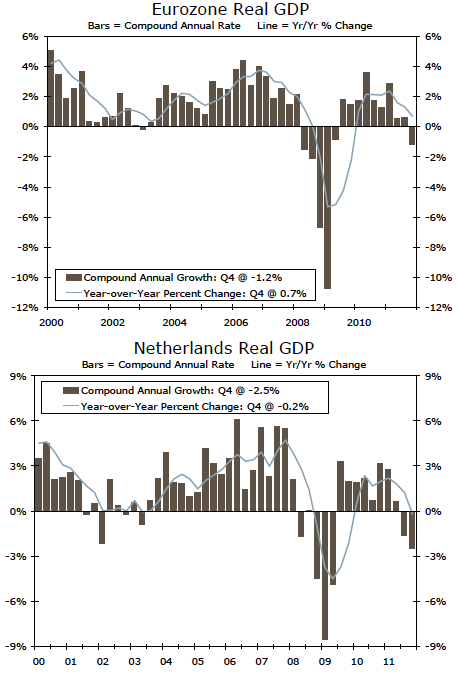 The Netherlands government fell a few days ago over disagreements on the European fiscal pact and deficits. They have their own problems. 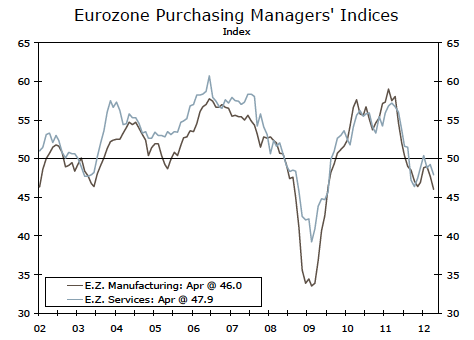 Their economy has been in contraction a bit longer than Europe as a whole, and Europe as a whole has declining growth. This entry was posted on Wednesday, April 25th, 2012 at 4:04 PM and is filed under Interesting Charts. You can follow any responses to this entry through the RSS 2.0 feed. Both comments and pings are currently closed.